It’s true what they say, great torsos think alike. We just noticed four of our favorite vintage t-shirt dealers are hosting massive sales! Act fast, some are ending within 24 hours. Wyco has their entire inventory (1300+ items) at 25% off – sale ends in 24 hours. 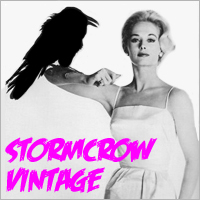 Vintage Retro Wear has all their goods (2000+) at 20% off – sale ends in 4 days. Silverruins has a selection of their stuff (450+) at 20% off – ending in 1-5 days. Stormcrow put everything up for sale (450+) at 15% off – ending in 5 days.